Our B&B is located on a strategic starting point for those who wish to discover an authentic Sicily, for the naturalistic field we propose trekking and excursion around the highest active volcano in Europe as of boat excursions and diving at Taorminas bay. 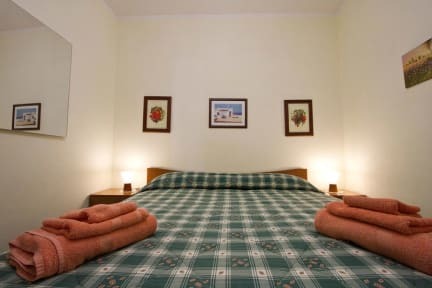 The B&B is dotated of conforables rooms with private kitchen and bathroom, carefully furnished and conditionned, realised in order to cuddle our guests and make them appreciate the traditional sicilian ospitality. Payment: Cash only, on arrival. Please note: it is possible on request to change the double rooms into twin rooms. Our quadruple rooms are a flat 2 double rooms with kitchen and bathroom.